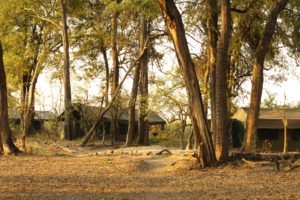 "Intimate and secluded tented camp"
Located in the wildly remote Shinde Concession where wildlife is plentiful and other humans are not. 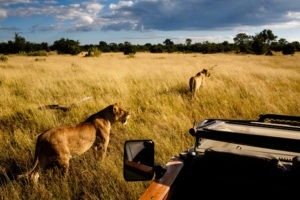 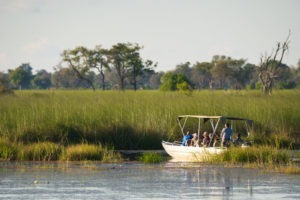 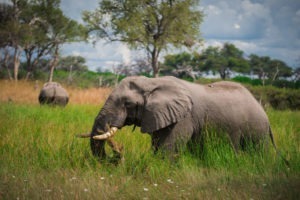 This is a private concession in the Okavango Delta which is reachable by a very scenic 40 minutes of flight from Maun. 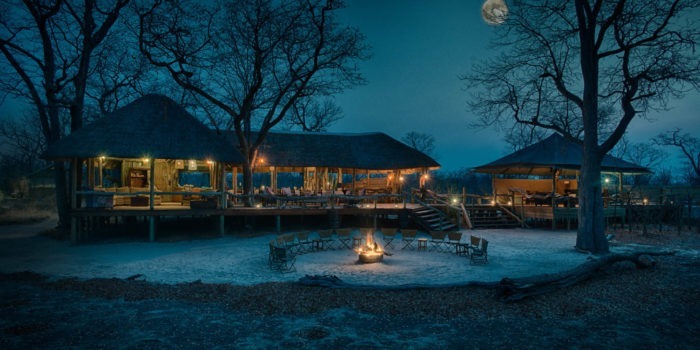 The camp is simple yet unmatched. With only three meru-style tents, a mess tent for incredible meals and a fireplace on the edge of the lagoon you find yourself doing safari the old-school way which, by the way, has worked for many years. 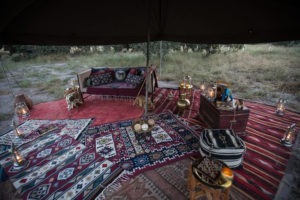 Each tent contains two twin beds with plenty of space in between. You have the option of sleeping with the canvas side flaps open, with only a mosquito mesh as a barrier, or with the flaps down for more privacy. 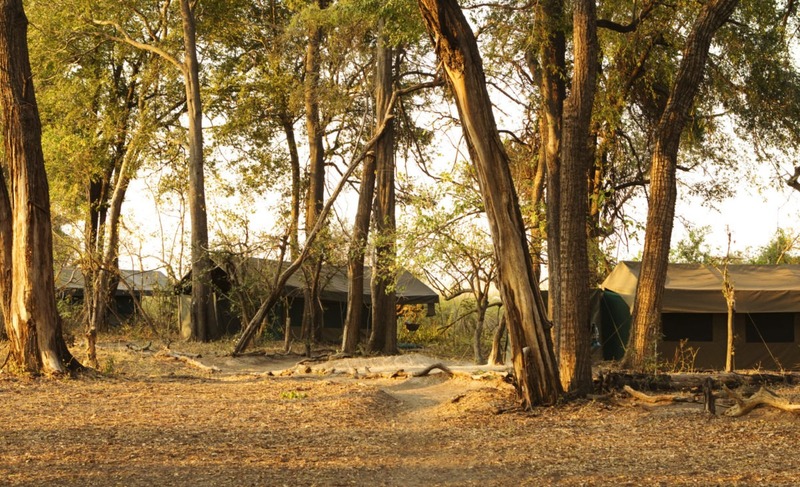 The en-suite is located at the back of the tent, accessed by zipper and contains a flush toilet (luxury for the location!) wash basin, bucket shower and even a laundry service! 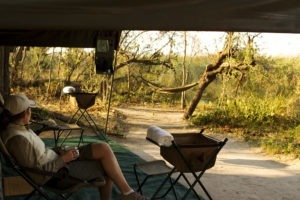 Infront of the tent you have a shaded veranda with chairs for lounging. 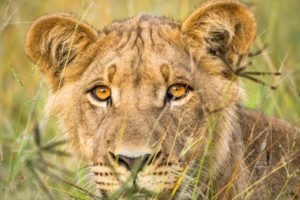 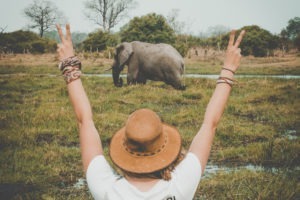 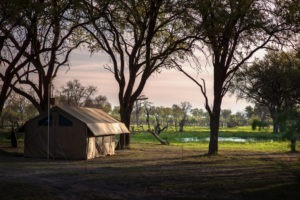 Footsteps has two main safaris on offer, “Footsteps across the Delta” a safari focused mainly on walking safaris, as well as “Young Explorers” which is a family orientated safari experience where the family books the entire camp. 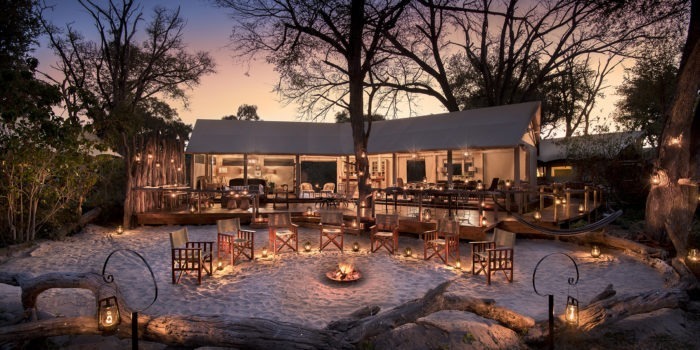 This family option then allows for the intimate camp to take children as young as 7 years old on safari, which is a rare luxury for camps in the Okavango. 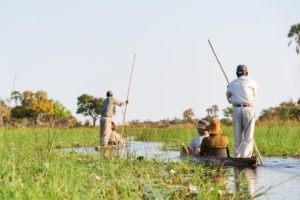 There are also other activities on offer such as mokoro (dugout canoe, season permitting), fishing, game drive and night drives. 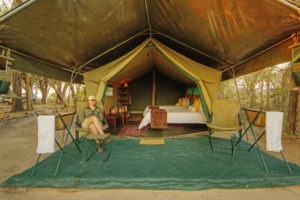 This is Frank’s all-time favourite camp! 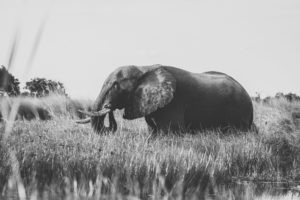 It is simple, but high quality. 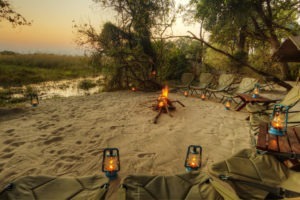 Simply high quality! 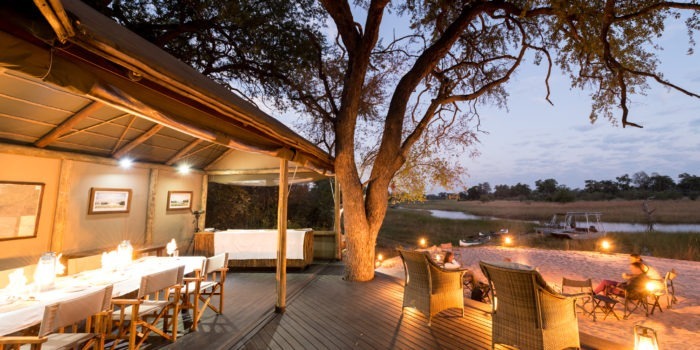 Very small and intimate authentic tented bush-camp…with class! 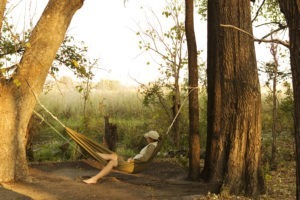 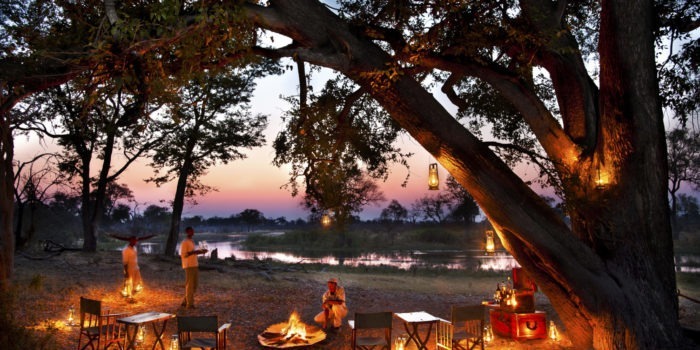 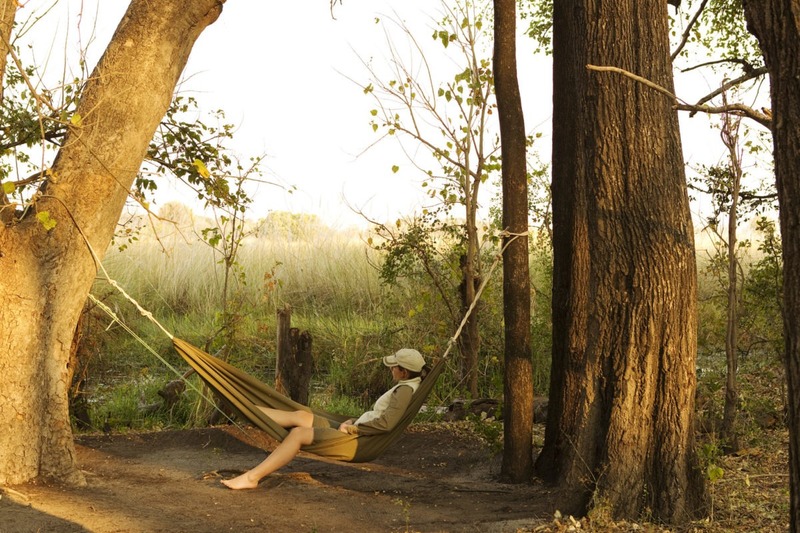 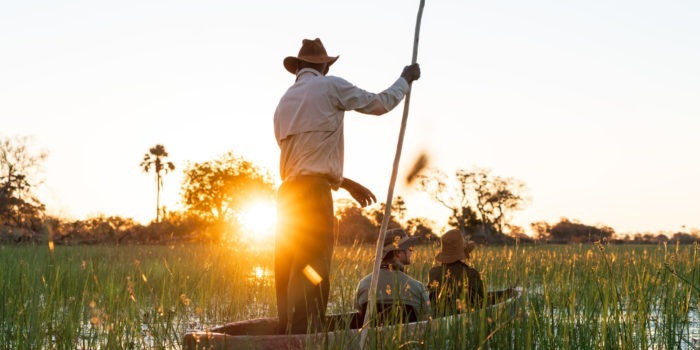 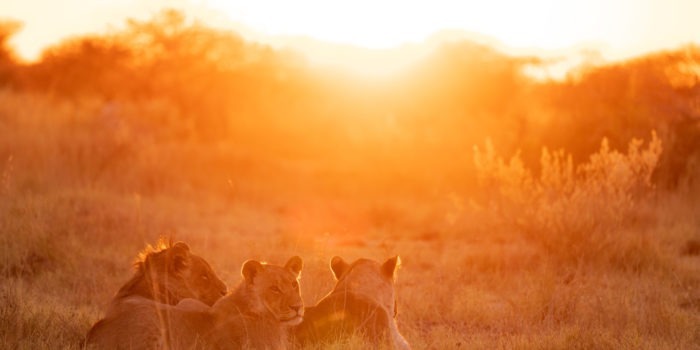 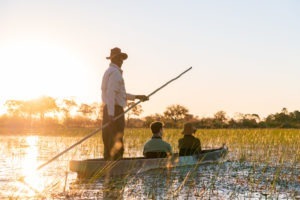 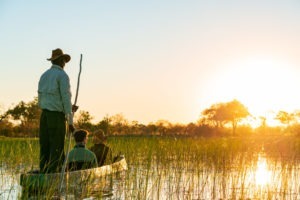 Explore a private concession within the Okavango Delta. 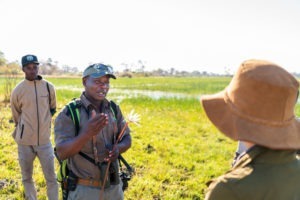 Excellent and informative walking trails with armed local guides. 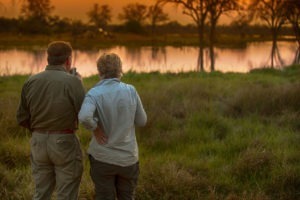 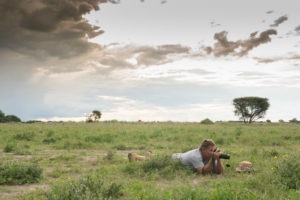 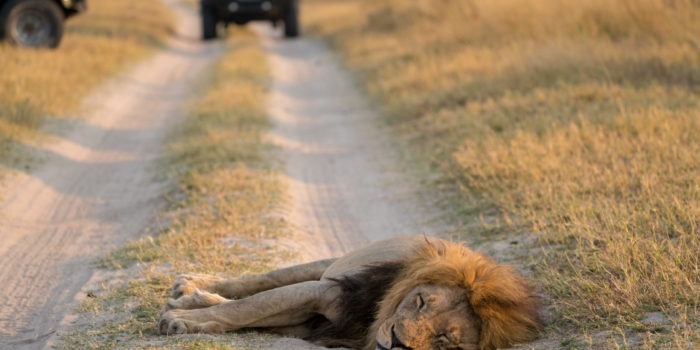 An incredibly diversity in landscape with great game viewing. 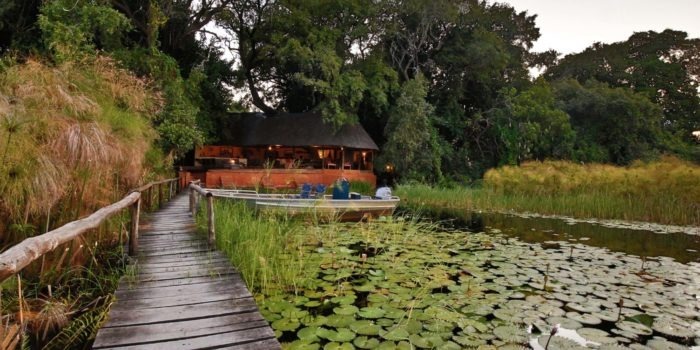 Situated right on the edge of a permanent lagoon. 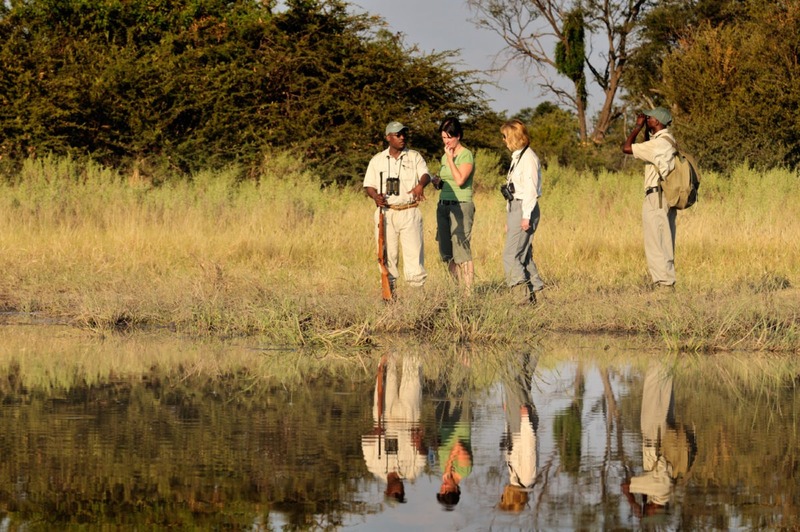 Serious walking safaris with excellent guides. 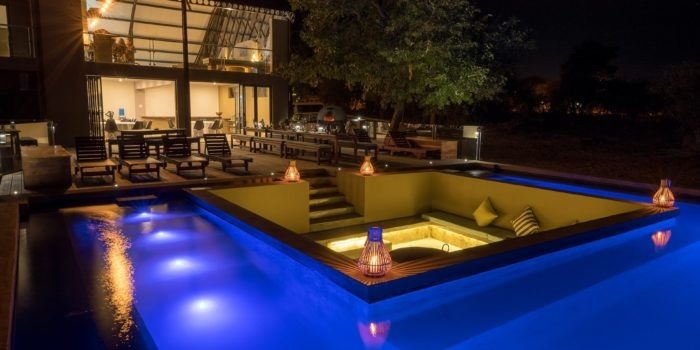 Perfect place for private family holiday.